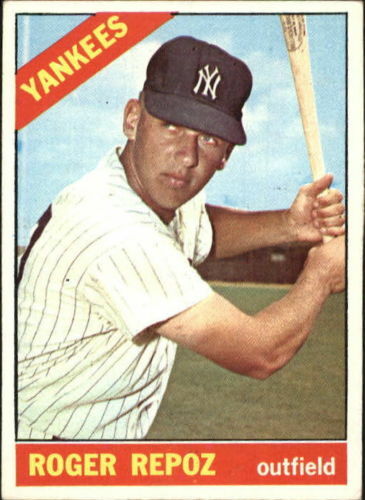 Happy 75th Birthday to Roger Repoz, my teammate on the Yankees during my rookie season of 1966. Roger had his major league debut with the Yankees in 1964 as a September call-up, and played half a season with them in 1965. I remember one particular day that he was on fire: we were playing a double header against the Athletics in Kansas City and with Mickey Mantle out, Roger played Center Field for both games. He went 2-for-4 in each game, with a total of three RBI’s. A few days later, we were in Detroit and I was pitching. In the top of the first, Denny McClain started off the game by striking out Roy White; then he walked the next three batters – Bobby Richardson, Tommy Tresh and Joe Pepitone — three walks in a row, certainly a rare occurrence for this mighty pitcher. Then Roger Maris drove in Bobby, and with the bases still loaded, Roger drove in Tommy. That gave me a two-run lead before I ever took the mound. But like I said, Denny was a mighty pitcher. He didn’t give up any more hits for the rest of the game. Unfortunately, I did, and we lost 7-2. I got to see the harsh realities of a baseball life for the first time on June 10, 1966 when the Yankees traded Roger, along with Gil Blanco and Bill Stafford, to Kansas City for Billy Bryan and Fred Talbot. It was the first trade since I joined the club. It was nice to get to know Roger, even for a brief time, and it was always nice when I saw him over the next six years when our teams played each other – and not just because he was 0-for-8 against me! 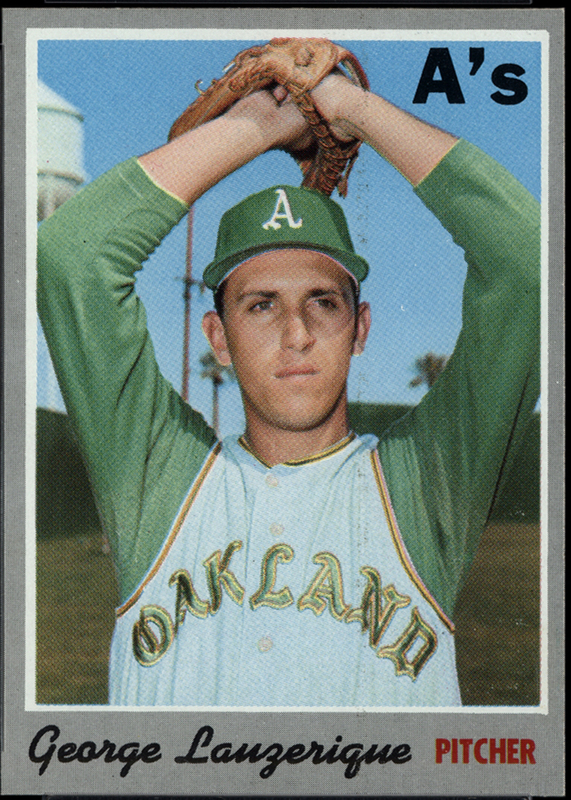 Happy Birthday to George Lauzerique, who pitched for the A’s and the Brewers from 1967 to 1970. George had some cache because he had pitched a perfect game in the minor leagues. The first time I saw him pitch was on September 29, 1967 – his third major league game and his first at Yankee Stadium. It was the second game of a Twi-Night doubleheader on a Friday night, the last weekend of the season. I started for the Yankees and George was the starting pitcher for the Kansas City Athletics. In the top of the second, Joe Rudi and Rick Monday each hit grounders to me, which I threw to Mike Hegan to make the outs. But along the way, I hurt my ankle and had to leave the game after I walked Sal Bando. That was disappointing, especially because it was my game of the season and you hate to end on that kind of note. Fred Talbot came in relief and pitched beautifully, giving up just four hits. George was hugely impressive. He held the Yankees to five hits in seven innings, struck out five, and gave up just one run – a homer to Billy Bryan. It was an outstanding performance.